Britain’s history with New Zealand means that about 17% of the 58,000 estimated Kiwis residing in the UK have access to British nationality for ancestry. The growing population, and the second generations of New Zealanders in London, have created a thriving and lively community of Kiwis in the city. Whether interests relay on sports, politics, charity or drinks, there are a handful of events taking place regularly throughout the British capital catering to Kiwis in an effort to strengthen the community and allow a space for meeting fellow countrymen and women. 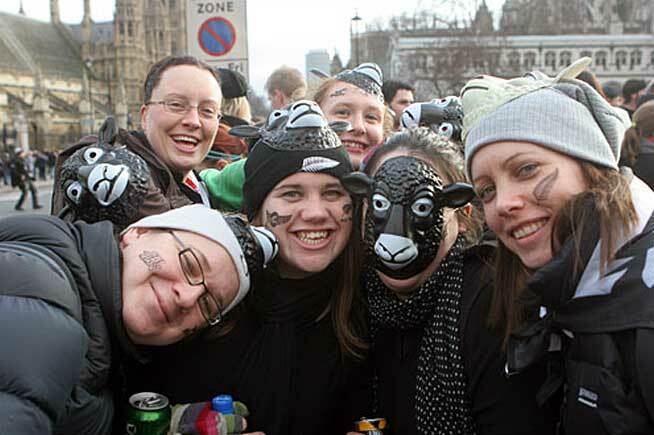 Kiwis in London is perhaps one of the biggest communities on Facebook. With over 53,000 followers (although given the census, it is doubtful they are all really from New Zealand or living in London), they are a perfect source for settling into London - whether it is to rent a flat, find a job or just find new friends. Their monthly Kiwis drink get-together allows fellow New Zealanders to meet and bond in a fun and relaxed space. Meeting people from their home country can also open up business, social and creative opportunities for new projects. Another great community of Kiwis in London is the New Zealand Society, which provides opportunities for people from or interested in NZ to meet socially. They often hold events for people to meet and socialise and maybe even create important business links. Every year in February they hold the Waitangi Day Charity Ball where they award a UK New Zealander of the Year together with Air New Zealand. The award aims to recognise important members of the Kiwi community in the UK. Another club that aims to provide New Zealanders and those interested in the culture and environment to learn and participate in Mãori culture is the Ngãti Rãnana London Mãori Club. Through the main guiding principles - whanaungatanga (togetherness), manaakitanga (looking after each other) and kõtahitanga (unity), the club holds several social events, club nights and performances to promote Mãori culture. It focuses mainly on the performing arts, although it is a great community of people who support each other.